If you feel self-conscious about minor skin imperfections like scars, discoloration, and fine lines, microdermabrasion can help you achieve a more even complexion. This procedure not only produces visible results, but also features no downtime, so you can return to your routine immediately. Our doctors and in-house cosmetologist at Southwest Eye Care and Laser in Bakersfield, CA, perform microdermabrasion as part of our non-surgical skin rejuvenation services. We can design a treatment plan especially for your needs and cosmetic goals. Microdermabrasion is a cosmetic procedure designed to improve the appearance of age spots, hyperpigmentation, scars, and lines or wrinkles. 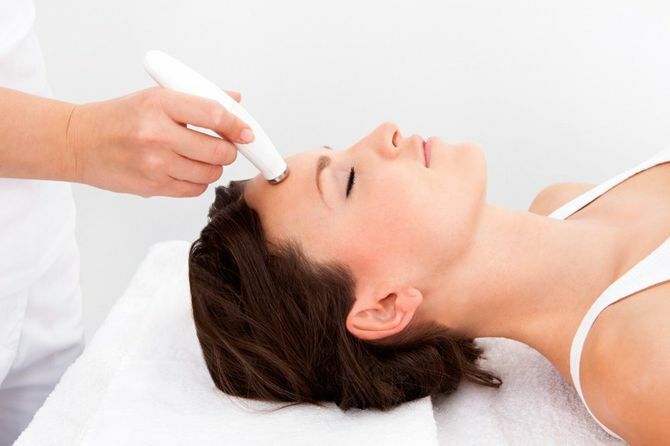 Treatment uses a diamond-tipped wand to gently exfoliate your skin and promote new growth on a cellular level. The device removes the topmost layer of cells in only 30 minutes, resulting in a smoother, more even texture and tone. Microdermabrasion exfoliates the skin to reveal brighter skin beneath. It is important that you discuss any previous procedures you have undergone, as you may have to wait before receiving microdermabrasion if you have had a recent chemical peel or collagen injections. As microdermabrasion is a more gentle procedure, it cannot address issues like sagging skin, deep scars, or deep folds. When sharing your expectations for treatment, we encourage you to be open and honest so we can determine whether microdermabrasion is right for you. During treatment, our cosmetologist will gently glide the diamond-tipped wand across your face, which polishes your skin. Patients report feeling a light warming sensation as the outer layer of dead skin cells are exfoliated, and a vibrating sensation when they are suctioned away. The procedure lasts about 30 minutes, but it can take longer if you are also treating areas of your neck. This procedure not only produces visible results, but also features no downtime, so you can return to your routine immediately. Following the procedure, we may apply a soothing moisturizer and recommend an at-home skin care regimen. Most patients appreciate having little to no downtime following treatment, though skin may have a pink or red hue similar to a minor sunburn. Your skin will also be more sensitive, and you should take extra precautions to avoid irritation and sun exposure. To ensure long-term results, we will most likely recommend a series of treatments. Depending on your needs, we may recommend weekly treatments for three sessions to start. Microdermabrasion is an increasingly popular procedure, because it has few side effects or risks. As the treatment uses a non-allergenic diamond-tipped wand as opposed to chemicals, it is a great option for patients with sensitive skin. After treatment at Southwest Eye Care and Laser, you can feel confident in the appearance of your skin. Patients who take proper measures to protect their skin are more likely to enjoy the results of microdermabrasion for a longer period of time. This procedure allows you to achieve noticeably younger-looking skin with no downtime. Call our office today at (661) 393-2331 or message us online to learn more about microdermabrasion or our other cosmetic procedures.